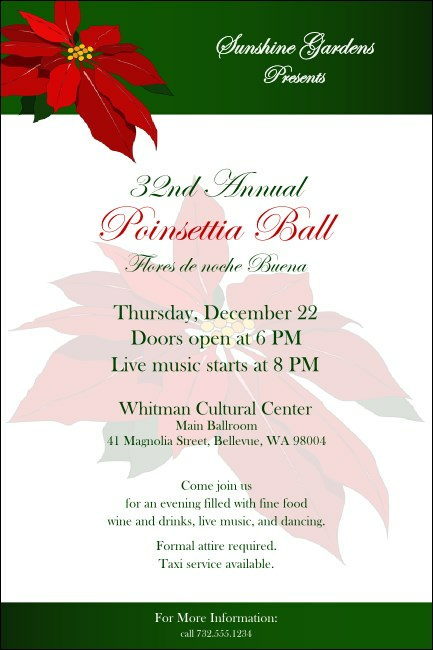 Cultivate your ticket sales with the best pre-event promotions you can find when you post Christmas Poinsettia Posters in advance. Grow your guest list with these festive holiday Poster templates that feature a bold green and white background with a beautiful red poinsettia at the top. TicketPrinting.com will help you warm up this winter with great event promotions.